As I read the news thread that Lois Liliensten had passed away the sound of my daughter’s voice singing ‘Skinamirinkydink’ washed over over me. I sang it with her…often. My daughter loved that song. 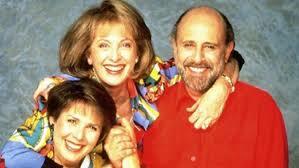 She loved Sharon, Lois & Bram. I purchased the album for her, the vinyl version which I still have. It got a lot of play, a lot of wear. I leaned back in my chair at work to let the emotions, the memories pass through me and oddly enough I found tears sting my eyes. I then considered this trio and how they had entertained children. My daughter’s eyes would shine listening to them and that smile of hers? Well, it could light up the night sky it was that brilliant. And if three people could bring that kind of simple pleasure and joy to the world of a child then they are superstars to me. So it was with a quiet dignity after a having suffered from a cancer that Lois Liliensten left this earthly plain. I do hope she didn’t suffer. There are those in this world who do what they love and are driven by their passion. They are fortunate as well that it sustains them. They can live their life by it. And all that I do, I love. Always challenges will be presented. Such is life. And I will always rise to each new hurdle and stumble across. That I accept each challenge and attempt to remedy the problems with honesty and integrity convinces me that to honour all that I do is one of the most important aspects to living. Even if it something appears mundane, ordinary…it is often in these that we think are so easily attainable that we find are the most difficult to master. 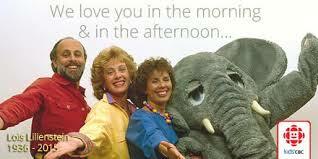 We loved you…we loved you in the morning and in the afternoon….we loved you in the evening underneath the moon. 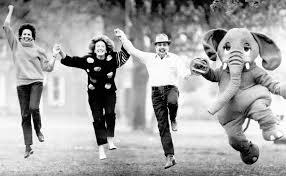 Hope you are off dancing with elephants across universe. Thanks for the beautiful memories and a smile that just wouldn’t quite.